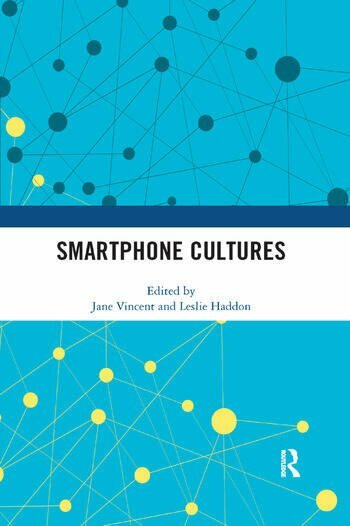 Smartphone Cultures explores emerging questions about the ways in which this mobile technology and its apps have been produced, represented, regulated and incorporated into everyday social practices. The various authors in this volume each locate their contributions within the circuit of culture model. More specifically, this book engages with issues of production and regulation in the case of the electrical infrastructure supporting smartphones and the development of mobile social gambling apps. It examines issues of consumption through looking at parental practices relating to children’s smartphone use, children’s experience of the regulation of this technology, both in the home and in school, how they cope with the mass of communications via the smartphone and the nature of their attachment to the device. Other chapters cover the engagement of older people with smartphones, as well as how different cultural norms of sociability have a bearing on how the technology is consumed. The smartphone’s implications for other theoretical frameworks is illustrated through examining ramifications for domestication, and the sometimes-limited place of smartphones in certain aspects of life is examined through its role in the practices of reading and writing. Smartphone Cultures presents the latest international research from scholars located in the UK, Europe, the US and Australia and will appeal to scholars and students of media and cultural studies, communication studies and sociologists with interests in technology and social practices. Leslie Haddon is Senior Researcher and Visiting Lecturer in the Department of Media and Communications at the London School of Economics and Political Science, UK, author of Information and Communication Technologies in Everyday Life, co-author of The Shape of Things to Consume and Mobile Communications: An introduction to New Media, editor of The Contemporary Internet and co-editor of Everyday Innovators, The Social Dynamics of Information and Communication Technology, Generational Use of New Media, Kids Online and Kids Risk and Safety Online.